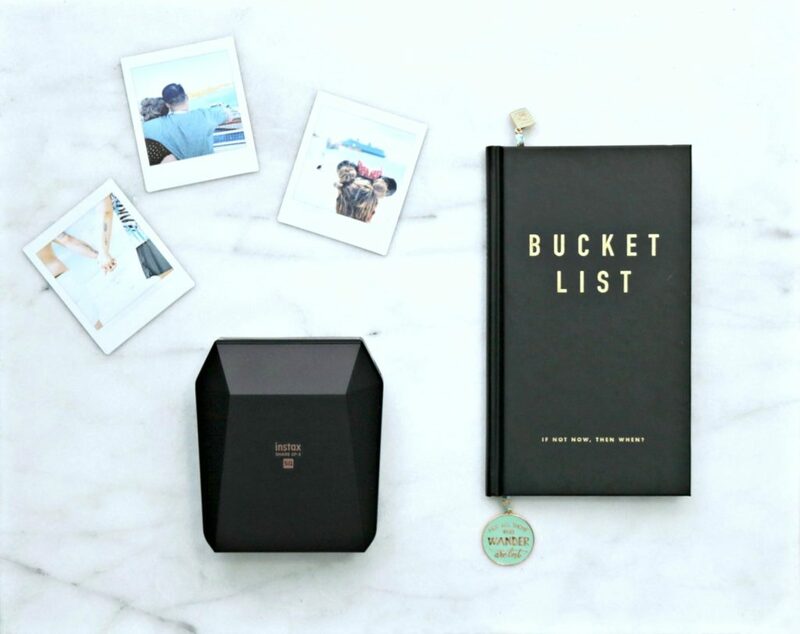 You are here: Home / Family Travel / Make Your Adventures Last with the FujiFilm Instax Square Share SP-3! 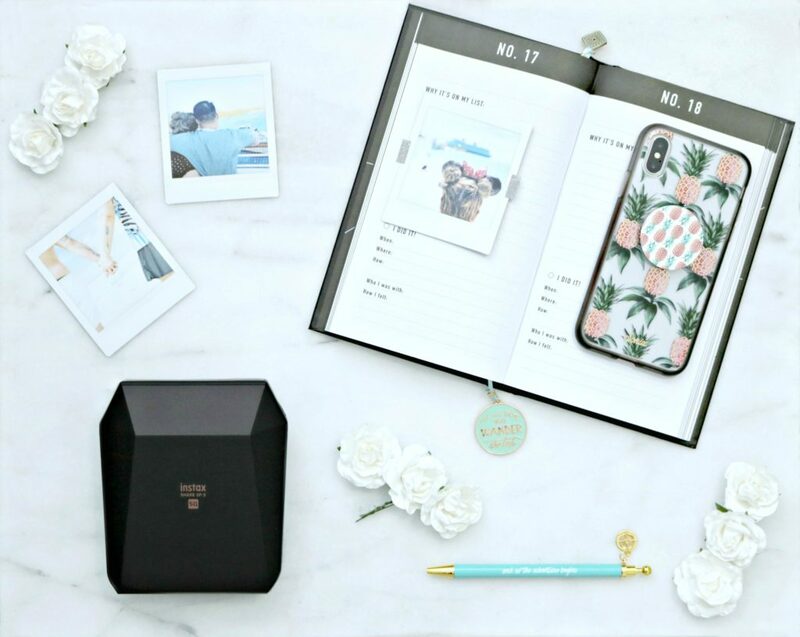 The Revolutionary FujiFilm Instax Square Share SP-3! If you know me, you know that I love to travel. That goes hand in hand with enjoying each destination with my family and capturing the special moments. While we are left with incredible memories, we are also left with thousands of pictures that just sit on our devices. However, that has all changed since I got my hands on the FujiFilm Instax Square Share printer. If you are like me, you have no desire to sit down and go through all your photos on your phone or tablet. Let alone try to organize them to order prints through an online service. Once you do that, you have to head to a store to make prints. Well, I don’t have time for that either! After all, we all have a busy life that we are capturing in photos, and the proof is in those pictures! If you can print pictures to use right away at home, why wouldn’t you? 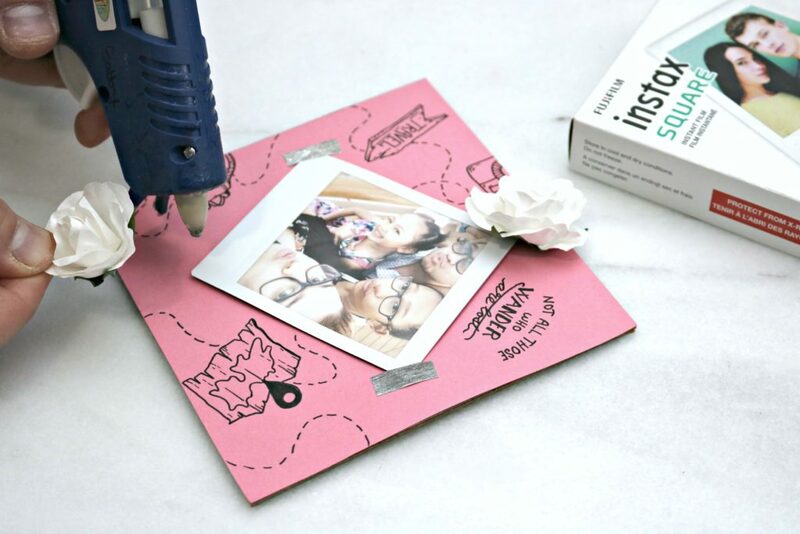 Plus, the creative things you can make and gift with the help of the FujiFilm Instax Square Share printer is endless. 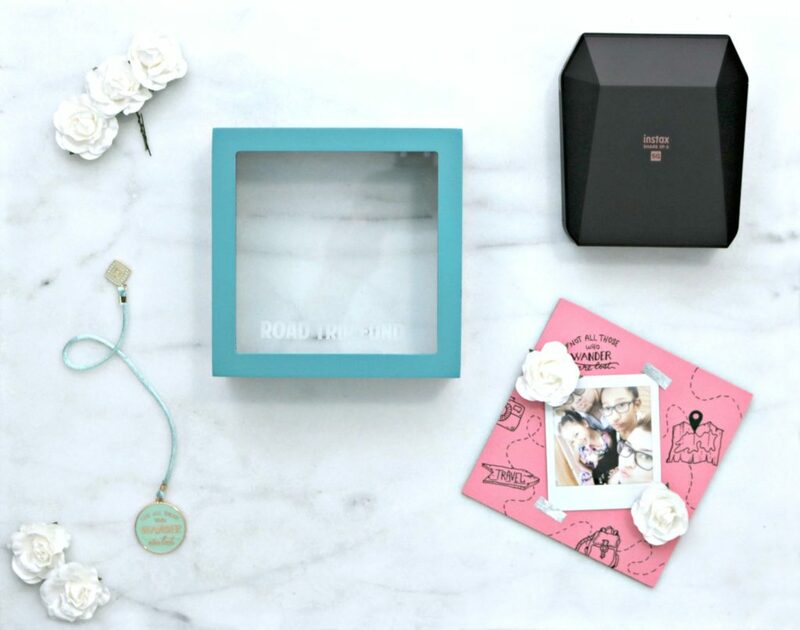 Read on to see how you can make your adventures last beyond your adventures! When I saw that Fuji was coming out with the FujiFilm Instax Square Share SP-3, I knew that I had to have it! I mean, who would turn down the opportunity to own a printer that they can use anywhere? Not me! 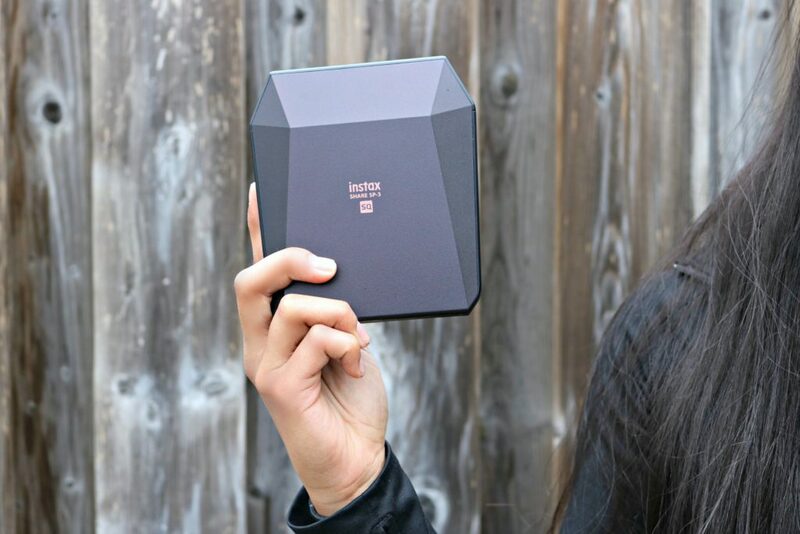 It is portable, lightweight, and wireless, so I can use it at home or when I am traveling. It is small enough to pack with the rest of my gear. 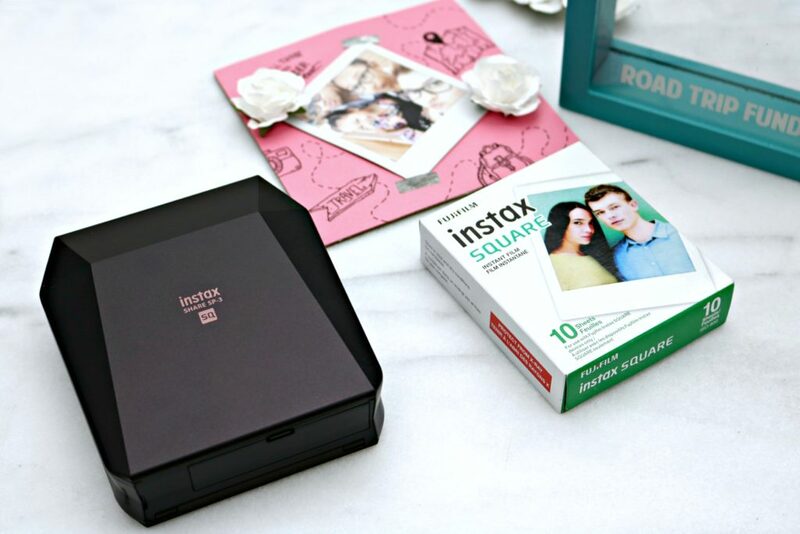 Plus, the FujiFilm Instax Square Share SP-3 allows me to print real, square photos from my phone or tablet whenever I want. I can even print photos from my social media feeds from Instagram and Facebook. With a teen at home, she has lots of pictures that she wants to print out too, so it’s a godsend! I set up my new printer in minutes. I basically slid the FujiFilm Instax Square Instant Film inside, added the battery and then plugged the printer in to make sure that it was completely charged. While it was doing its thing, I downloaded the Instax Share app onto my devices. This is a necessary feature that you will all need because this is what you will be using to print the actual pictures. Once everything was ready, I turned the printer on. Then I connected to it through WiFi and clicked on my new app and chose print from the gallery. After I clicked on the picture, I was given choices to edit, filter, and change it to black and white. I lightened my image and simply clicked okay and my picture printed immediately. So easy, and no waiting for pictures to arrive in the mail or driving to pick them up! As I explored the app in a little more depth, I was amazed to see that I could also take a picture and print it immediately or share photos on my social networks. I could also create a collage starting from two to nine different photos or add a color text to a photo before printing. The best feature though, in my opinion, is the #tag print mode where you can search and print from the same hashtag. If you have your own hashtag that you filter your images in, it makes it easier to have them all in one spot to choose from. That is how I would use it! We just came back from Florida and we visited Disney World, went on a Disney Cruise and hit up Universal Studios. It was a busy but, incredible vacation. You can bet that I took tons of pictures to capture all the fun we had. Another thing you may know about me is that I love to journal. I thought, why not put them both together? I just started my newest bucket list journal and one of my bucket list wishes was to snorkel at Disney’s Castaway Cay. Let’s just say, check! I printed off one of the pictures from Castaway Cay and taped it into my bucket list before I started writing! It definitely makes my journal come to life. Now that I have the power of printing in the palm of my hands, I want to display them. So I got creative! I always give the girls a little spending money when we travel so I figured, I’d have Mimi save a few coins to contribute. She has been asking for a coin bank, so a light bulb went off. I hit up the dollar store to pick up a coin bank, paper flowers, tape, and cardstock paper. I found a super cute travel themed coin bank that said ‘Road Trip Fund’ and decided that I’d personalize one for Mimi to save for our next road trip or vacation. 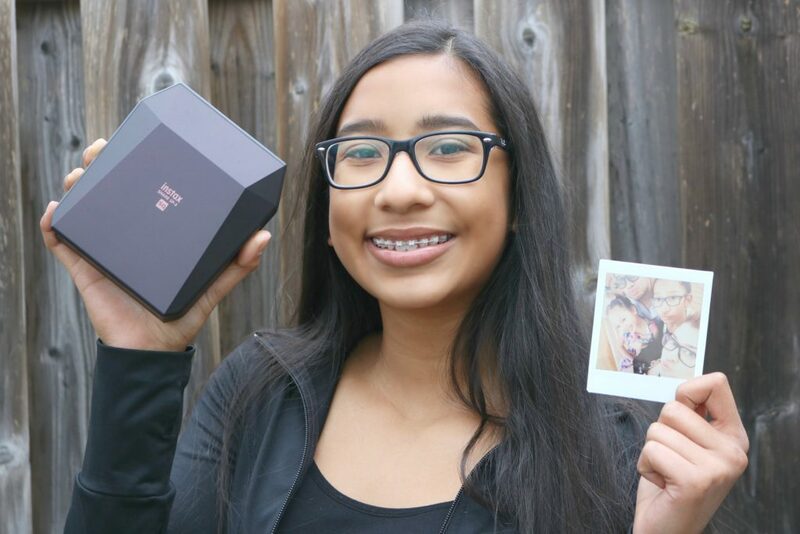 It was super simple and with a little creativity, the FujiFilm Instax Square Share SP-3 printer and a hot glue gun, it was personalized. We taped pink cardstock onto the back of the coin bank to cover up the picture it came with. With a fine tip marker, Darasak drew a travel-inspired design onto the cardstock. He also added one of my favourite quotes, “Not all those who wander are lost’ and I even have it on my bookmark. You can get creative as you’d like with it. Afterward, I taped a square picture that I had printed with my Instax onto it. I hot glued the flowers on and ta-da! What I loved about it was that with the use of tape, we can interchange the picture anytime. 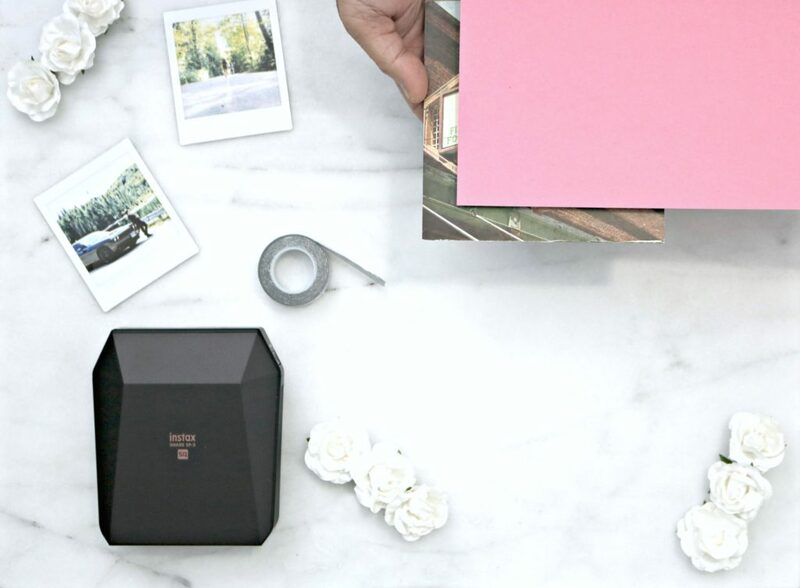 You can pick up your own printer to create your designs and display the memories you capture. 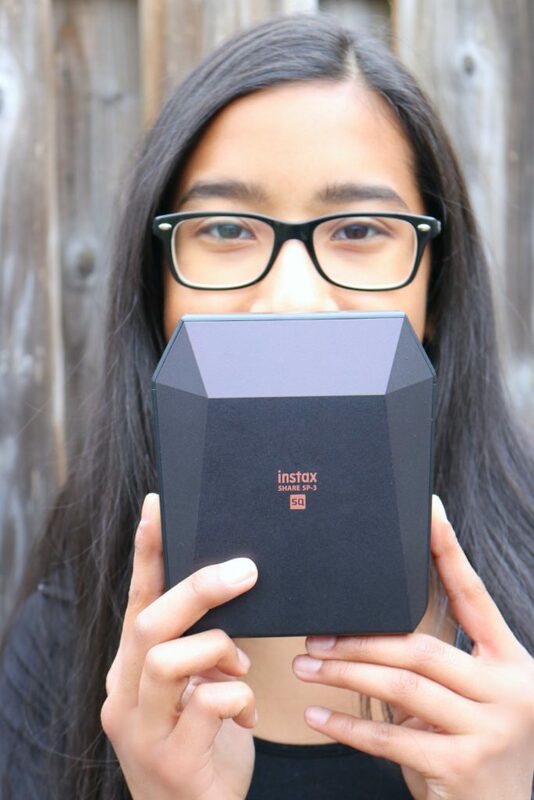 It is available at Annex Photo Concept by FUJIFILM, Best Buy, Indigo and Henry’s for $249.99. I know I am going to continue to love using my FujiFilm Instax Square Share SP-3. I have a Fuji FinePix XP 120 camera that I use and can connect to my printer too. So, I am going to give it a try because I travel with it all the time. If you love taking pictures but aren’t a fan of spending hours ordering prints, you will want to get your hands on this printer. I know that you will love it just as much as I do! How often do you print pictures? Previous Post: « 5 Tips to Create a Signature Makeup Look for Yourself! What an interesting product! I come from the era way back when, when the instant cameras were all the rage. But this is way better. Yes, it is so awesome. I’m so glad cameras like these are making a comeback! I’ve always thought they were so much fun! I’ll have to snag one of these. It does look like a camera but, it is a printer. This is so fun! I would love it and my daughter would too! One thing I miss about today’s tech is printed photos! Sure we have them on computer but it’s fun to get creative with printed photos too and the fact they are instant – just love it! I’ve been wanting to get one of these for my kids. It takes me back to my childhood when we had a polaroid. Yes, I love the instant photo. SO awesome for anyone who loves tech. I don’t have this particular camera but I do have a polaroid. Aren’t they fun?? I am doing one ten pack each month and hanging them across the mantle. So cute. 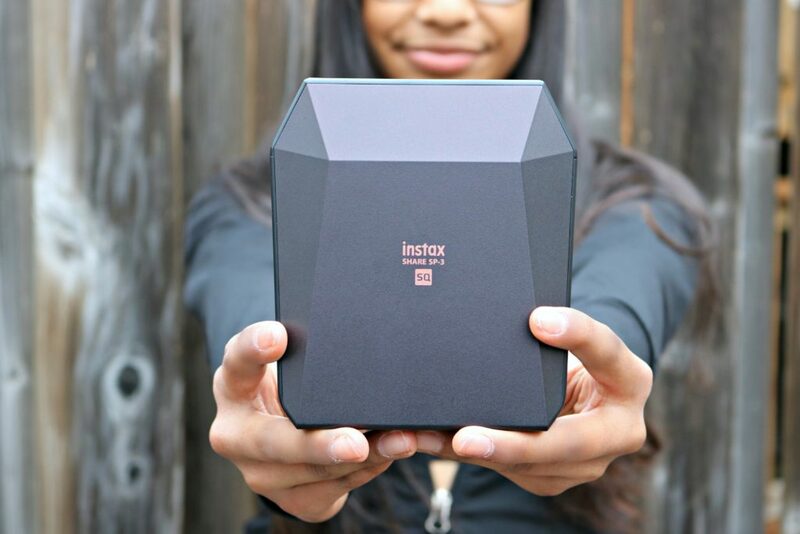 This one is actually a printer but, Instax makes great cameras and printers. I love that it is square! I rarely print out photos. They stay tucked away in my phone, on instagram, or facebook. I would love to be able to print a few photos occassionally. Yes, it is awesome to not just have them tucked away. This Fujifilm Instax is really awesome. I’ve tried this and it captures every moment really good. It does print amazing pictures. Now this is something that I would really want. I think it would be such a neat product to have around. I love photos, so this would be perfect for me. Awesome, hope you get it and love it. Oh wow. it looks awesome. I would love to have one. The features are amazing and this is a perfect gift idea too. This is such a cool product! I never print photos off my phone for all the reasons you listed above, so having a wireless way to get the photos instantly would really make my day. I’d have many more framed pictures around my house, that’s for sure! Yes, I love the ease of it. I like this thing! It would make a great gift for many people! Ok, that is REALLY cool! Technology is so much fun now! I love the customization, too! I so want one of these. I take a ton of pictures. Mother’s Day is coming up and I hot a tea party. This would be perfect for pictures so I can send my guest home with their pictures from the party. Ohh, that is a great idea! I have so many pictures that I would love to print out but can never find the time to sort through them all. This would be perfect for me. Same! That is why I love it. Just like the good old days! I wonder if I would catch myself waving it back and forth trying to get it to develop faster?!! OMG, totally guilty of this. When digital photography was fairly new my husband would print out our good pictures and we have albums of great shots. Now we don’t print anymore so this is a great way to save all those memories. Yes, it is a great way to document them! This looks great to toss in my diaper bag! I am awful at getting my photo’s developed to do scrap-booking, this would force me to get with it! Yes, it is perfect for on-the-go! That is such a cool tool for fun social media photos! I have an instax yellow camera, but this printer is amazing! I need to print off more of our pictures! Love that this printer prints right from home. 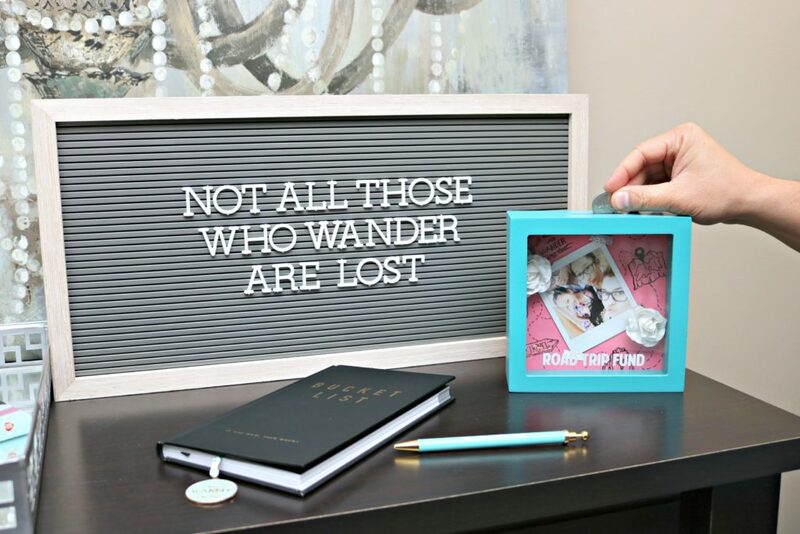 I have so many ideas of ways I could decorate with these cute picture squares. Sounds like a great camera! Loved seeing the pictures and your ideas! This reminds me so much of the old Polaroid cameras. I love this idea for sharing photos. I love it, especially since I can print out any pics from my phone and social feeds in a few clicks. I love my Insta Camera they are so much fun. That square is really nice looking too, looks really fancy. Mine is sorta blah I need to look at getting this. This is awesome! We’ve played with these cameras at a wedding and it was a blast! Hi Marcie, they make great cameras but, this one is a printer though. Really cool to use with your phone. So cool! I’ve never seen this before but my daughter would love it. She loves taking pictures. Yes, she would love printing out her pictures. This is really cute! Would be a perfect gift to my daughter! Yes, it makes a good gift. I have not heard of this Fujifilm Instax. It looks like a fun camera that I could use and create some neat scrapbooking type pages. I really need to look into getting this. It is actually a printer that you use with your phone. I want one of these! I have been looking everywhere for the perfect instant camera, they seem to be popping up everywhere this one seems great, good quality an price! This looks amazing, I’d have so much fun with it! This looks really neat. I have heard many great things about the Fujifilm instax. You are making it look amazing. I am going to have to check into it. Sweet, hope you like it. This is the polaroid of 2018! I need to get my hands on one asap. Saving time I guess! It is so easy to use, that is the best part. This is a really useful item! I would love to get my hands on one. It is funny how these types of devices are making a comeback. I used to love my old polaroid camera. Nothing beat having an immediate photo! I want one! I loved the old instant cameras, they always make pictures look like you are on an adventure! Me too, they make capturing the adventure easier too. Looove the idea of printing pictures right away! 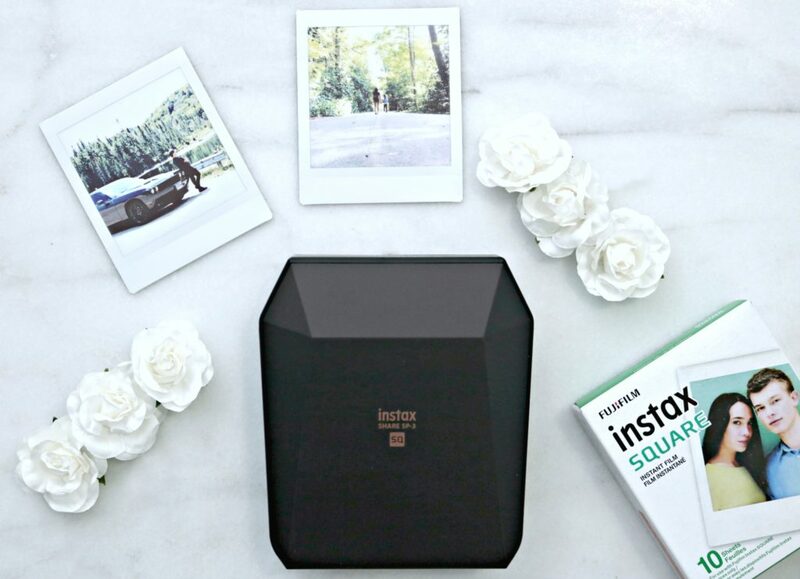 I am going to have to look into the fujifilm instax square because I need this in my life! OMG, yes! It is awesome! I really like Insta Square by Fuji Film! I’ll have to get one. For a long time, I’m sorry that all my pictures are in digital format. Yes, it is a great way to use them finally! I love the instant photo.I remember use the old polaroid when my son was born! Yes, this one is so nostalgic. A great camera!